Sitting in a chair and hunching over a keyboard can leave your neck, shoulders, back, and hips feeling super tight. 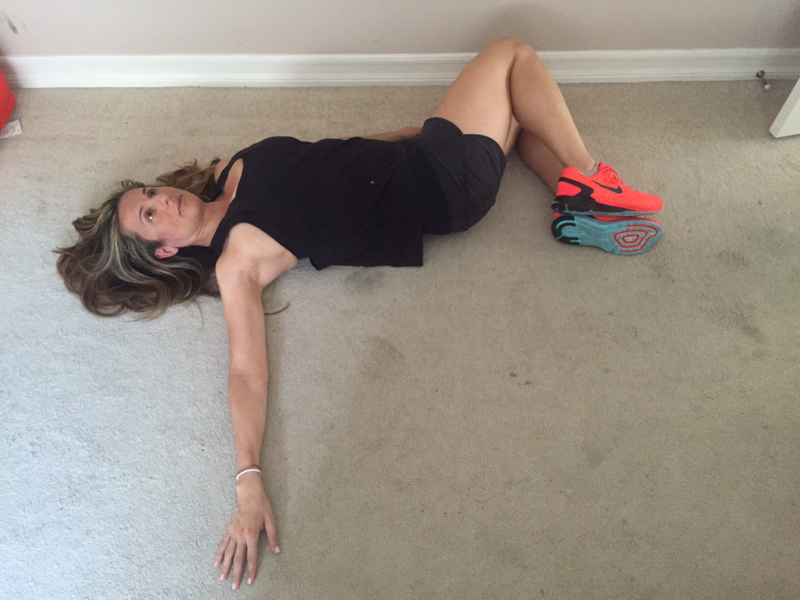 Here are 5 stretches you can do to combat these stubborn aches and pains. In our quest to make life easier and more automated through the influence of technology, we sometimes forget how the gadgets we love so much can negatively affect our lives as well, specifically when it comes to our bodies. Studies show that we spend an average of 3-4 hours per day staring down at our cell phones or tablets. This isnât only straining to the eyes, but it also causes our bodies to be hunched over for prolonged periods of time. Between that and sitting at a desk all day, our bodies are no doubt screaming for relief! We know we should take time away from the office or computer daily to get outside, go for a run, or hit the gym. However, for busy professionals who are just lucky enough to have a moment to step away from their desk to scarf down lunch in between meetings and deadlines, sometimes those things just arenât a realistic possibility. Sitting in these static positions all day can leave your neck, shoulders, back, and hips feeling tight and most likely out of their proper alignment. In light of that fact, here are 5 stretches you can do every day (and anywhere) to combat these stubborn aches and pains. You need this one if you spend a lot of time hunched over a keyboard. Rest your chin onto your neck and reach your arms behind you until your hands meet. 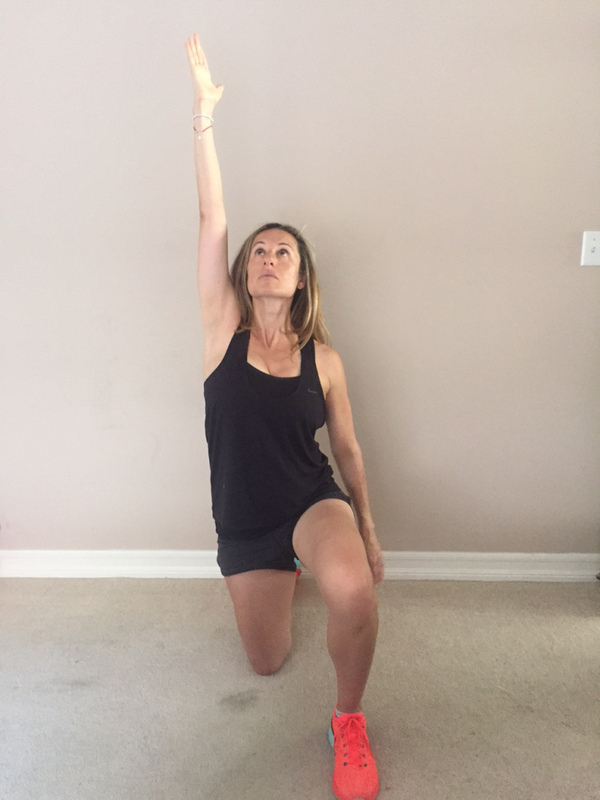 Interlace your fingers and lift your arms up until you feel a stretch in your chest and front shoulders. Hold for 10 seconds, release, and repeat. Tight hip flexors are a common problem for people who sit in a chair all day. Kneel on the floor and step your left leg out in front of you at a 90-degree angle, placing your left foot flat on the floor. Press your hips forward until you start feeling a stretch. For an added stretch, raise your right hand above your head. Hold for 10-15 seconds and then switch sides. Lie on your back with your arms and legs open and relaxed. Bring your knees to your chest, and then let them both slowly fall to one side of your body, while keeping your upper torso neutral and your arms on the floor. Hold for 10-15 seconds and then move to the other side. Repeat 2-3 times. Practice rolling your shoulders forward and backward several times to loosen up your upper body. Do 10 reps each way, rest and repeat 2-3 times. Stand up and reach your arms high over your head until you feel a stretch. Hold for about 8-10 seconds and then reach your hands down to your toes. Hold for 8-10 seconds and repeat. For more soothing stretches, check out 5 Stretches To Help Improve Your Posture. Jennifer Cohen is a leading fitness authority, TV personality, entrepreneur, and best-selling author of the new book, Strong is the New Skinny. With her signature, straight-talking approach to wellness, Jennifer was the featured trainer on The CWâs Shedding for the Wedding, mentoring the contestants to lose hundreds of pounds before their big day, and she appears regularly on NBCâs Today Show, Extra, The Doctors, and Good Morning America. Connect with Jennifer onÂ Facebook, Twitter, G+ and on Pinterest.